Heavily armed officers have cordoned off a building in the tourist hotspot of Bastia following the shooting this afternoon. 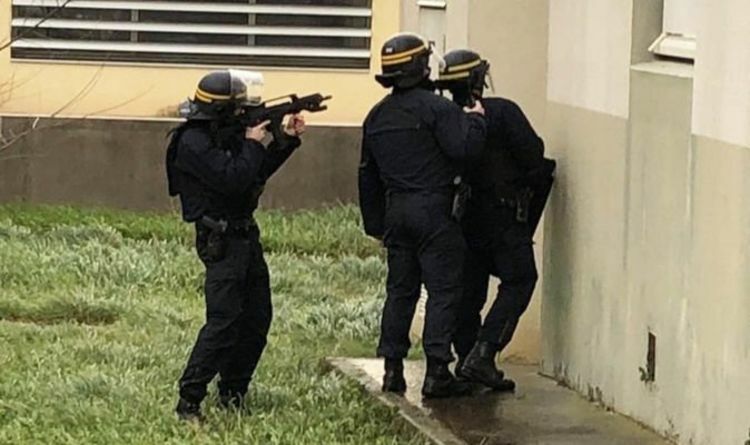 The suspect, said to be a 70-year-old local man, began firing at passersby in the coastal town at around 3pm GMT (4pm local time), French media reports. Two of those shot were rushed to hospital while two more are feared to be inside the gunman’s home where he has barricaded himself. French media reports that one person is seriously injured while one of those hurt is reportedly a police officer. Dramatic pictures from the scene in the Montesoro district of Bastia show armed police surrounding the property. The suspect is known to police but his motives for the attack are unclear, according to French news site 20 minutes.